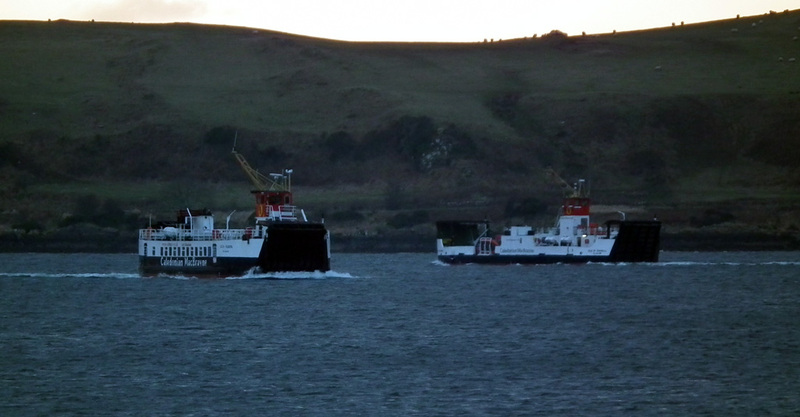 Normally the high season support vessel on the Largs - Cumbrae service, Loch Riddon assists Isle of Cumbrae with the volume of commercial traffic on the route 23 January 2013. 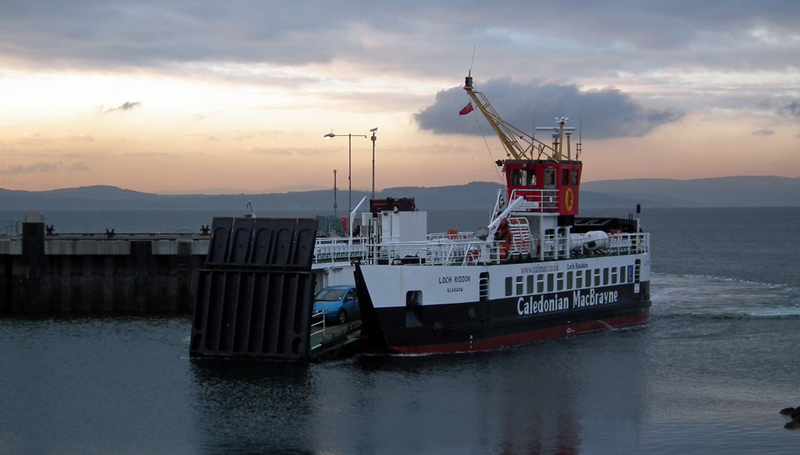 1977 vintage ferry Isle of Cumbrae takes service on her inaugural route some 36 years later! 21 January 2013. 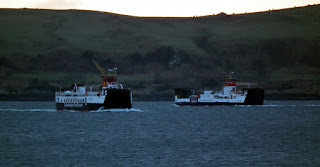 A scene possibly from summer 1986 with a "Loch" class ferry accompanying Isle of Cumbrae on the Cumbrae service, but this is January 2013 and the "Loch" Class is Loch Riddon, instead of Loch Striven. As per last year Isle of Cumbrae is covering for Loch Shira during drydocking however, the stream of concrete mixers awaiting passage and Isle of Cumbrae's 38 tonne limit has required the additional services of Loch Riddon on this occasion. 23 January 2013. Coaster Ayress awaits loading operations at Ardrishaig 24 Janauary 2013.